What a refreshing break from crime, traffic and weather WBTV’s new show will offer Charlotteans. 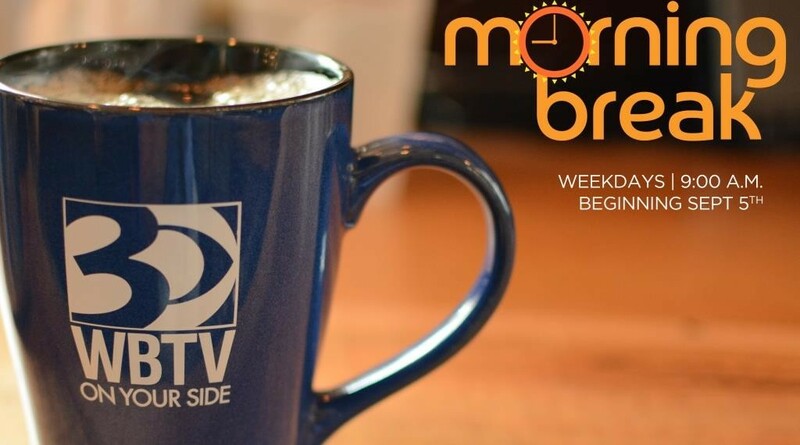 Morning Break will bring more lifestyle-focused stories to the morning news line-up, with segments ranging from cooking to life hacks. 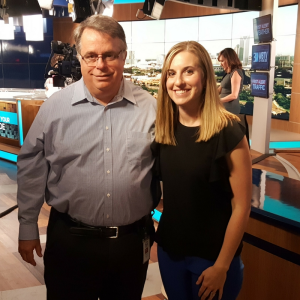 The first show is set to air on Labor Day, and since we were curious to learn more, we caught up with WBTV’s News Director, Dennis Milligan. How did your team decide to launch the new show? An opportunity presented itself when we learned “Flip My Food with Chef Jeff” and “Fix It & Finish It,” which run from 9-10 a.m., were going away. We had a few choices. Find syndicated programming. Purchase paid programming. Or, come up with something local. We talked about doing more news, but we already have 55.5 hours of news per week on our station. I think that’s enough news. And, since Charlotte has a lot of news, we wanted to try something different. Local TV stations have to start coming up with local ideas for programming because we don’t know how the network affiliate relationship will change in the next 5-10 years. We decided to take a little more local control over our business and our ability to serve our viewers. The show is not a news show; it’s a lifestyle talk show. The idea is to encourage our viewers to take a break, and that’s why it’s part of our name. We want people to sit down with us at 9 a.m. and take a break from whatever is facing them that day. Kristen Miranda, Chris Larson and LaMonte Odums will host the show at a table on our main set. We want our viewers to feel like they’re sitting at a kitchen table having breakfast with their friends. What will be on the show? Try This, Chris! – Chris Larson will try different things around town, from dancing lessons to cooking to doing your job for the day. Home Cooks – People invite Kristen Miranda into their homes to cook one of their favorite recipes with them. What’s the best way for PR folks to pitch story ideas for Morning Break? I encourage folks to email Molly Kelleher, executive producer of the Mornings and this show, or Crandall Sims, producer of Morning Break. Do you ever get involved with the programming? I attend our morning and afternoon editorial meetings, but the producers and executive producers handle the ebb and flow of the news throughout the day. For this show, I sit in on the rehearsals and weekly update meetings. By the nature of my job as a news director, I handle quite a few things that have nothing to do with daily news, such as research and personnel. The more community-focused the story idea, the better. We want to show the viewer how to improve their life. Everyone is trying to sell a product or service, but on the receiving end, the good or service should make someone’s life better. Thank you, Dennis, for sitting down with us and sharing more about Morning Break!